This is a square Between the Acts Little Cigars porcelain sign. 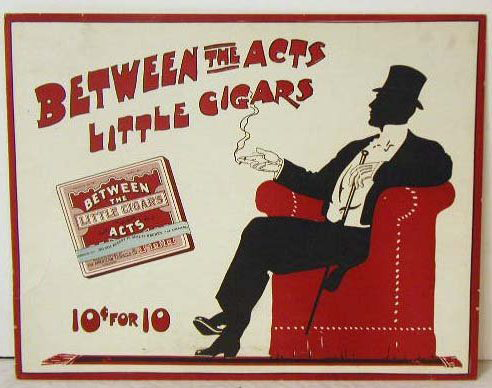 This particular Between the Acts Little Cigars sign features a silhouetted gentleman with a top hat and cane smoking a cigarette while seated in a large red armchair against a white background. It reads, “Between the Acts Little Cigars, 10 Cents for 10”.